In a way, it’s obvious that LEGO The Incredibles is just a filler game while we wait for LEGO DC Super-Villains. However, it’s rather interesting that, even at their most average and filler, LEGO video games can still be delightfully fun experiences. This isn’t going to be a title that will blow anyone away or make sweeping changes to the formula. It is, however, a perfectly fun little adventure into the world of The Incredibles. 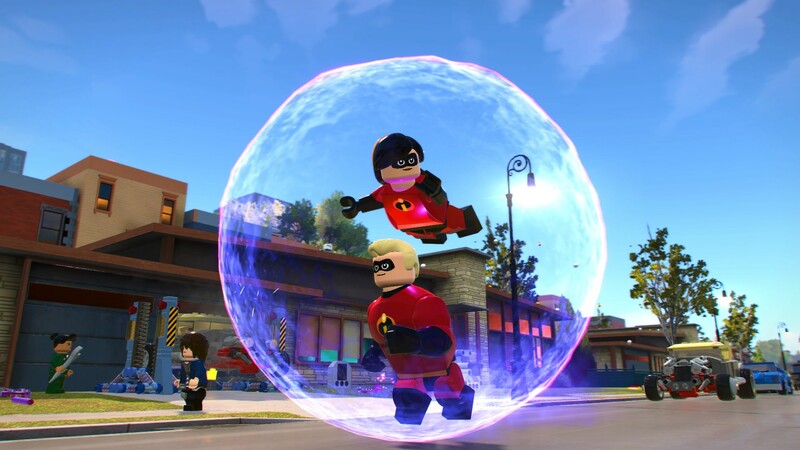 Don’t get me wrong – LEGO The Incredibles is fun. It’s just as entertaining as any other LEGO game. But that’s the problem. It doesn’t stand out in any way. Minus a few small tweaks and improvements in technical fidelity, we’ve essentially been playing the same LEGO game since 2005’s LEGO Star Wars. If you’re still not tired of the formula, then you’ll absolutely love The Incredibles. But for the rest of us, it’s just more of the same old brick-bashing. The LEGO games have always been known for their little quirks, but when it comes to pushing a game out with a theater release, they’re fairly sloppy. 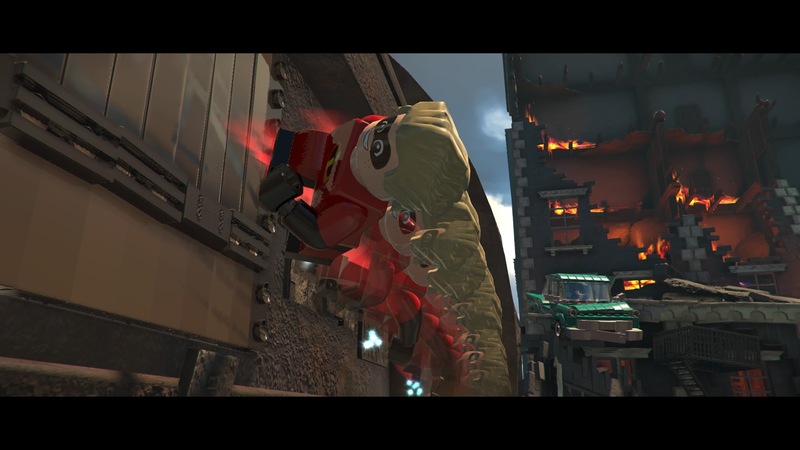 LEGO The Incredibles has all of the symptoms of a rushed game, but at least it doesn’t have any game-breaking glitches. It’s not a bad LEGO game, but it’s nothing to write home about either. It’s just incredibly okay, when it should just be incredible. It’s fair to say that Traveller’s Tales can’t stick with this formula forever- they definitely need to make changes and improvements if they want to keep pumping out games that satisfy the current demands of quality. But as it stands right now, they’re continuing to do – at the very least – a serviceable job. 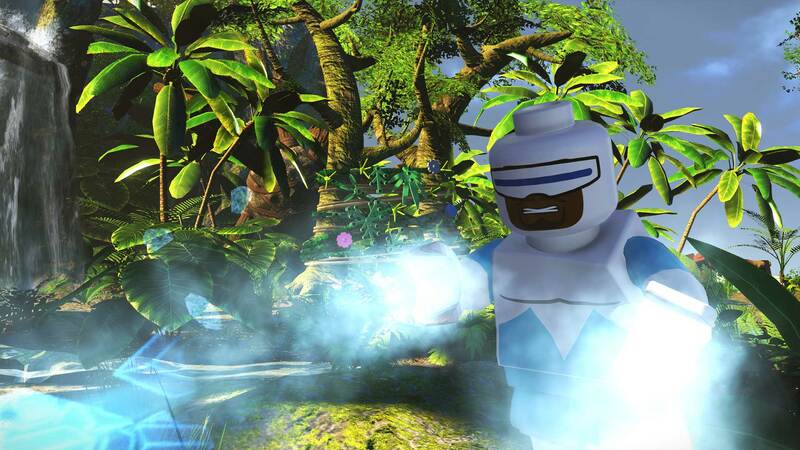 Lego The Incredibles is a smooth entry in the long-running Lego video game series. It doesn't do much to break out of the mold but there's no denying how ultimately solid and satisfying it is. The downside to the simplification of the story and action is that while this game is enormously fun to play with a kid or if you're a younger player, it's a bit too simple for an adult audience. Since it's clearly intended for a younger audience, this is not necessarily a flaw, but it's definitely something to consider if you like your games with more depth. Very familiar gameplay and content, with not enough variety outside of the Pixar cameos. The usual rubbish vehicle handling and technical issues. More competent than incredible, this middle-of-the-road tie-in replicates the films well enough but doesn’t mesh with the Lego formula as well as some other properties. 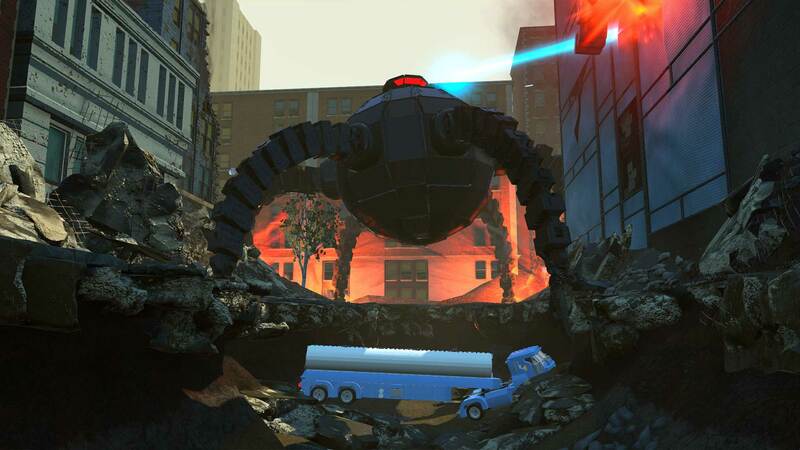 LEGO The Incredibles does exactly what fans of Tt's games will expect at this point. It delivers a fun distraction that is great to play through in couch co-op, with plenty of extras to keep the game enjoyable for a long time to come. However, like Telltale, it has done little to expand or innovate here and the source material feels a little thin for this type of affair. 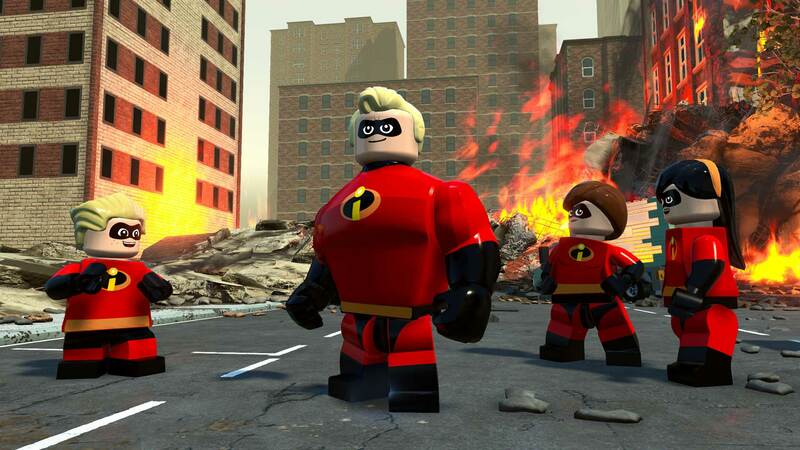 I remember enjoying LEGO Marvel Super Heroes 2, but I don’t recall laughing quite as much as I did during LEGO The Incredibles. 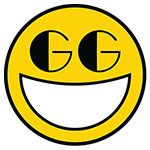 It’s a very funny game, full of great moments and some really good puzzles. You might even say that if it didn’t have all of the issues I’ve listed, it would be pretty incredible. Sin desviarse ni un solo milímetro de la línea marcada por las anteriores entregas de la serie, especialmente de las más recientes, TT Games ha edificado una nueva aventura de un claro componente sandbox que puede hacernos disfrutar durante mucho tiempo si así lo deseamos. La fórmula LEGO funciona a las mil maravillas en esta adaptación de las películas de Pixar, que además cuenta con modo "sandbox", un divertido multijugador local e infinidad de personajes coleccionables. No ha evolucionado, pero sigue resultando igual de divertido. 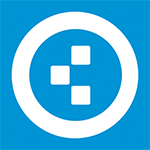 Routinierte Bauklotz-Action rund um Pixars Superhelden, die nicht an die Klasse der letzten Lego-Spiele anknüpfen kann, aber dennoch gut unterhält. Per i più piccoli e per chi non ne ha mai abbastanza di avventure e divertimento con i personaggi (almeno in origine) di giallo dipinti, questo titolo potrà rivelarsi un passatempo fresco in questa estate calda alle porte, ma è sicuramente distante da coloro che sono alla ricerca di uno sprint in più, andando a collocarsi, tecnicamente parlando, nella massa indistinta della produzione Lego. Forse è veramente arrivato il momento di dare una decisa sterzata alla serie, ma se siete alla ricerca di un gioco spensierato per l’estate o dare seguito alla visione del film Gli Incredibili 2, fateci un pensiero. LEGO Gli Incredibili è il solito videogioco LEGO che ci si aspetta dai TT Games, ma come prima escursione nell'universo Disney Pixar non ci possiamo lamentare: il level design è spesso ispirato e ingegnoso, anche se il livello di difficoltà ci è sembrato ancora più basso del solito. 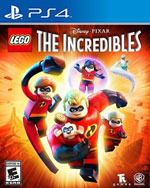 De moeilijkheidsgraad is dan wel aan de lage kant, maar dit haalt niet weg dat LEGO The Incredibles een van de betere LEGO-games is. De content van zowel de films als de sidequests is vermakelijk en het ‘als familie sta je sterker’-gevoel dat de films naar voren brengen, wordt op een gepaste manier in de gameplay naar voren gebracht. De personages uit de film zijn ontzettend charmant en grappig en het voelt dan ook totaal niet aan als straf om in hun schoenen de gekste acties uit te voeren in een game. Met een grijns op je gezicht zul je regelmatig blokjes bouwen en diverse filmomgevingen verkennen. Verwacht alleen wel een herhalingstrucje, want LEGO The Incredibles is een game die de simpele LEGO-formule nog steeds niet loslaat. Maar waarom iets fixen wat (nog) niet gebroken is?